The middle of winter is synonymous with layering—and we are ready for it (and you will be too). 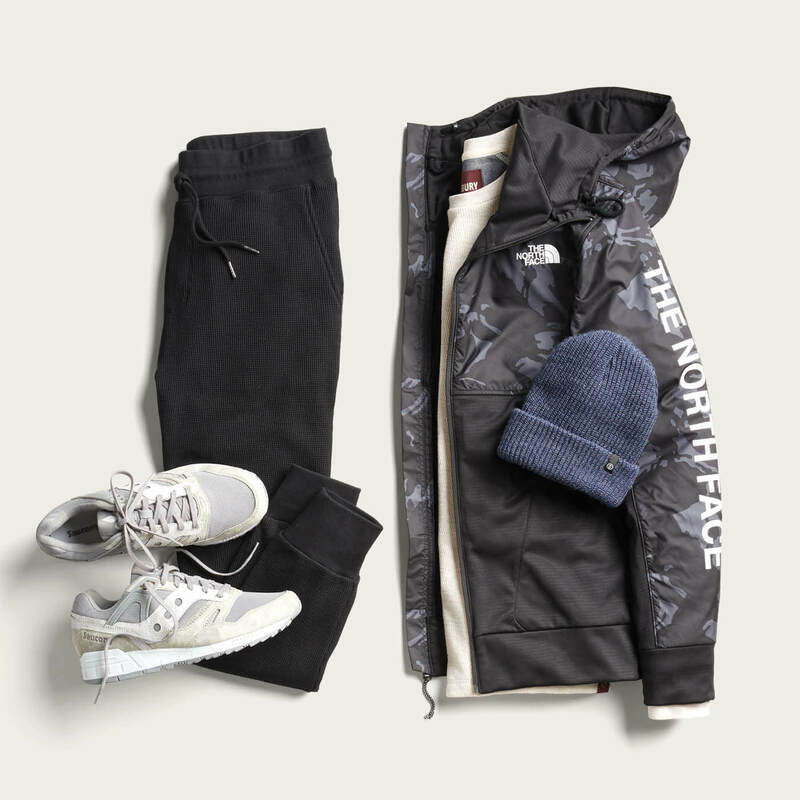 There’s no better way to flip the script on a frigid day than with the best-looking winter-ready jackets, coats, sweaters, joggers—the list goes on. We’ve pulled together our top picks and how to get the most out of every piece. 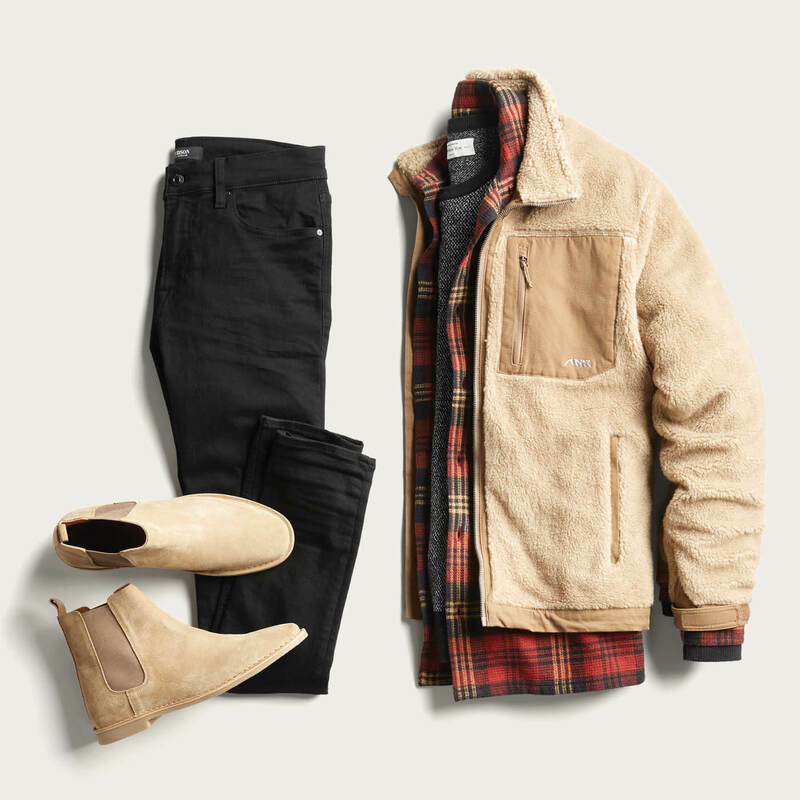 Check out this year’s men’s winter fashion highlights—it’s everything you need to know. You need hard-working essentials to help you get out the door looking your best—especially at the end of the year, and the beginning of the next one. Your schedule is already packed with the everyday, plus everything that comes with the holidays. All good things—family dinners, travel, work parties, New Year’s—but it seems like you need another closet to get through them all. Put your style woes behind you as we uncover easy formulas to navigate the coldest months. The classic sweater-over-a-button-down is steady for a reason, but why not try something new? Chunky mock neck cardigans add a significant amount of bulk (in a good way) and warmth when worn over long-sleeve tees, collared shirts and sweatshirts. Lighter-weight styles in merino or cashmere pair nicely under a blazer and add a little more punch to the norm. Corduroy fabric is not only soft and sturdy, but it’s come a long way aesthetically. Pants are our top choice in a slim or straight fit and a five-pocket style. They look and feel like your favorite denim—just more wintry. To ease into a winning look, pair your cords with a dress shirt. 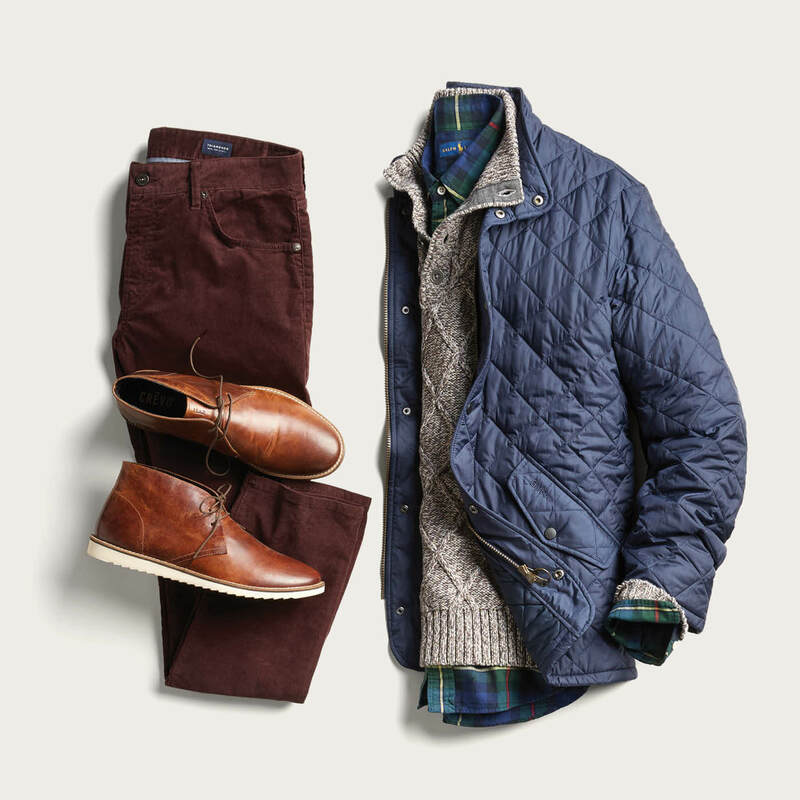 Just pick favorites that complement the shade of your pants—if you’re wearing brown cords below, try a green plaid button-down or a solid navy up top. Pairing two heavy-hitting staples is the first (and last) step to beating the chill. Wearing denim during winter is a win for so many reasons: a broken-in pair is super comfortable, they’re durable and keep in the heat. Plus, they pretty much go with everything. When worn with boots, you’re checking off practical and personal style. From a rugged lace-up to a pull-on Chelsea, whatever boot style you choose has a pair of jeans that can match. You still have errands to run regardless of how cold it is outside. Ride the wave of performance-meets-relaxed style and throw on a few really sharp-looking, extra comfortable clothes. One of the many benefits of “workout” gear is that it’s made to move, usually wicks moisture (and you do sweat, even in winter) and, as of recently, looks very slick. There’s no better time to flex your outerwear options than right now, and longer winter jackets are on our radar this season. They protect against the elements and really hit the mark in the style department. Try a car coat with a more casual look for a high-low approach, or go for a street-style vibe with a long performance parka over a suit. 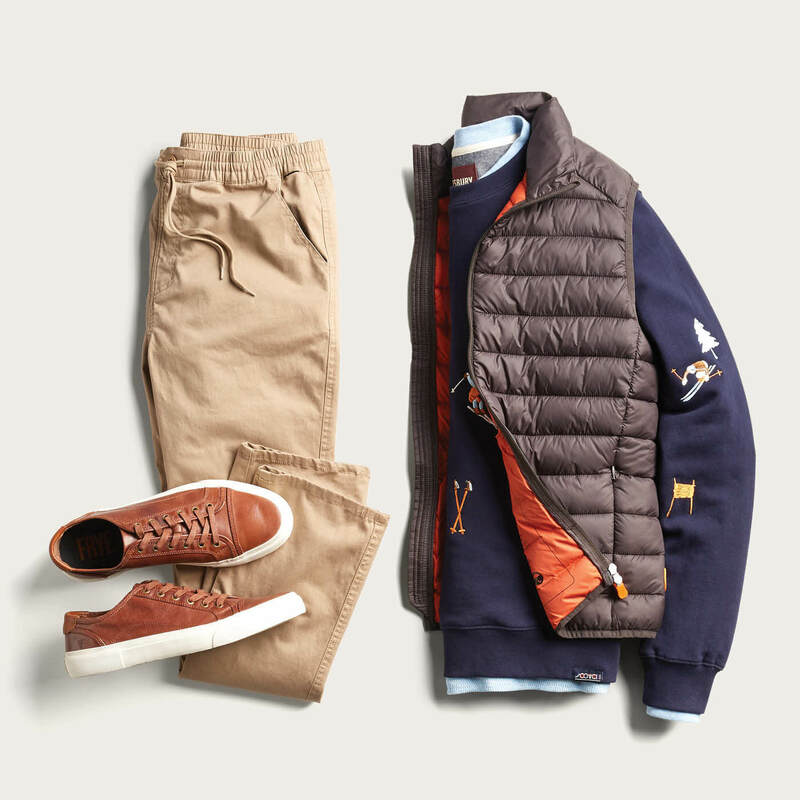 It’s the updated way to expand your outerwear outlook. Meet your new closet hero—the navy blazer. A sharp fit in a versatile shade goes a long way when it comes to building a ton of outfits. By mixing in unexpected pieces, like a chambray shirt, it tones down the 9-to-5 feel. Our go-to pairing? 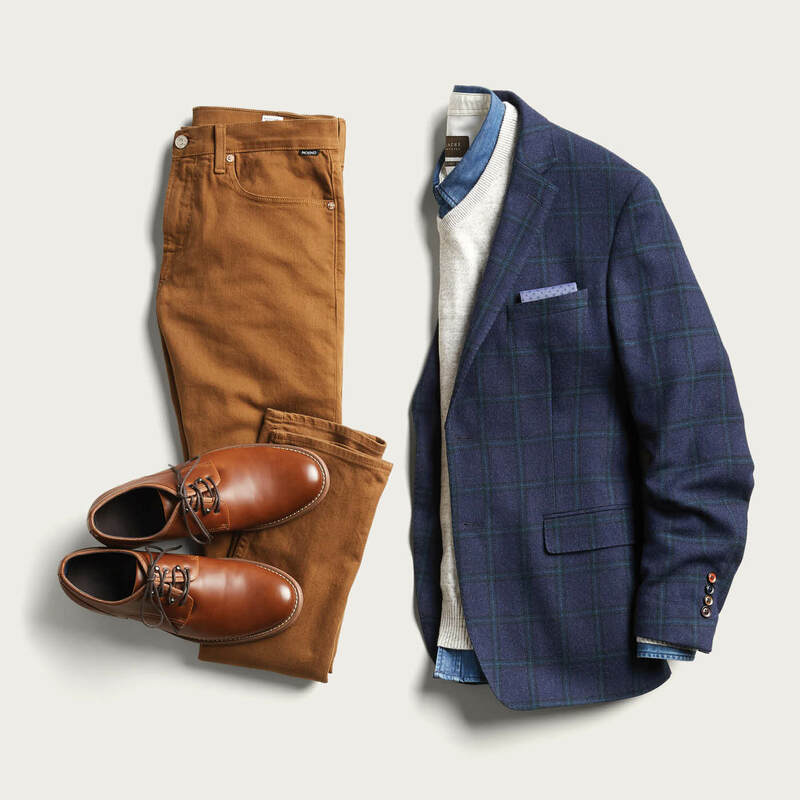 Brown five-pocket pants or slim khakis because the colors complement each other just right. There are so many puffer vests out there—one for every type of activity, from hiking to city commuting. It properly keeps out the cold while also layering well over the usual suspects like the favorite sweatshirt. This is your chance to mix colors, fun patterns and textures, while moving comfortably (since your arms are free). Beanies, hats, scarves, gloves—they’re getting maximum visibility this time of year. Endless options, from fabrics to patterns to price points, make it easy to find extras that fit seamlessly into your weekly rotation. Try something timeless like a chunky wool scarf, go bold with a beanie in a loud shade (keep the rest of your pieces neutral) or invest in supersoft cashmere—gloves, hat, scarf—and walk out the door knowing you’re impeccably covered. Now that you’re equipped with the style know-how to win at winter, schedule a Fix to put that knowledge to work.